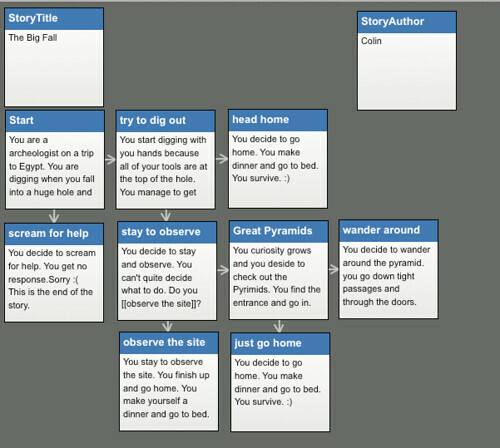 Here’s yet another student-created Interactive Fiction piece, using Twine. I’ve been sharing out some student work as I pull together stories for a class website. I invite you to see all the work we have done (and I have been doing) around Interactive Fiction (from reading to writing and creating).